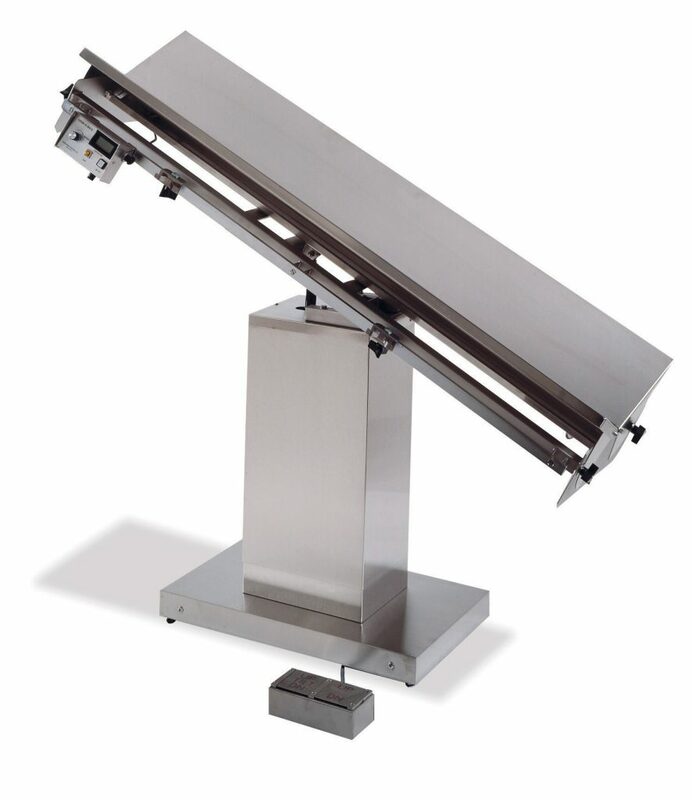 For procedures requiring precise animal positioning, choose a V-style operating table top. Suburban Surgical’s V-Top Operating Table features two die-formed stainless steel table leaves which can be positioned independently to let you create the angle that holds the animal just right for the procedure. Locking/release knobs on both table leaves are located at each end of thetable for convenience. Satin finish is easy on theeyes even with bright operating lighting. 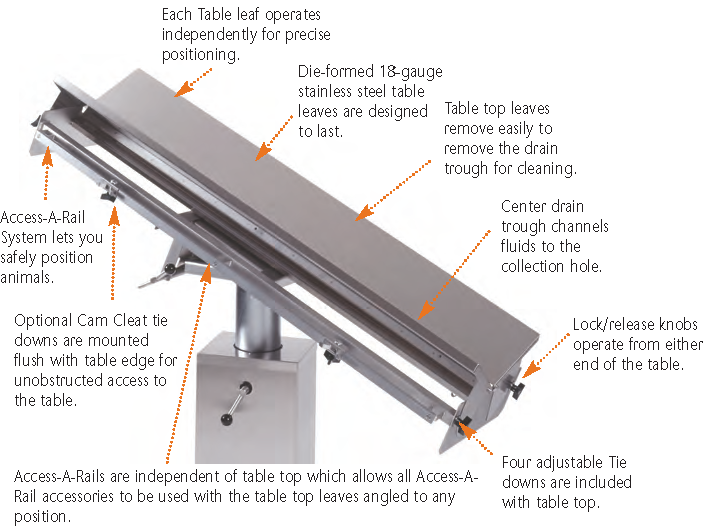 Drain trough under the center of table directs fluids toa drain/collection hole to keep the operating siteclear. 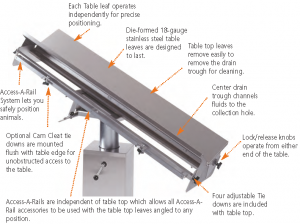 Table top leaves can be removed to allow you to remove the drain trough for cleaning.Our table tops also feature our access-a-railtie-down system to help you keep animals safelypositioned during surgical procedures.Raised center and table edge direct fluids into drain trough. One piece, die-formed18-gauge stainless steel top is designed to last.Drain trough with no-spill raised outer lip channels fluids to the collection hole. Access-A-Rail tie down system lets you safely position animals. Welded radius bends create smooth, rounded corners for safety. Both our Flat or V-style operating table tops are available in a heated style to help your patients maintain a constant body temperature during procedures. Continuous, even heat is distributed over the table top surface for greater animal comfort. The temperature you select is shown in the LCD display, and an indicator light shows when the temperature is reached. Control unit is mounted conveniently under the top edge of the operating table. Requires 120V AC power.